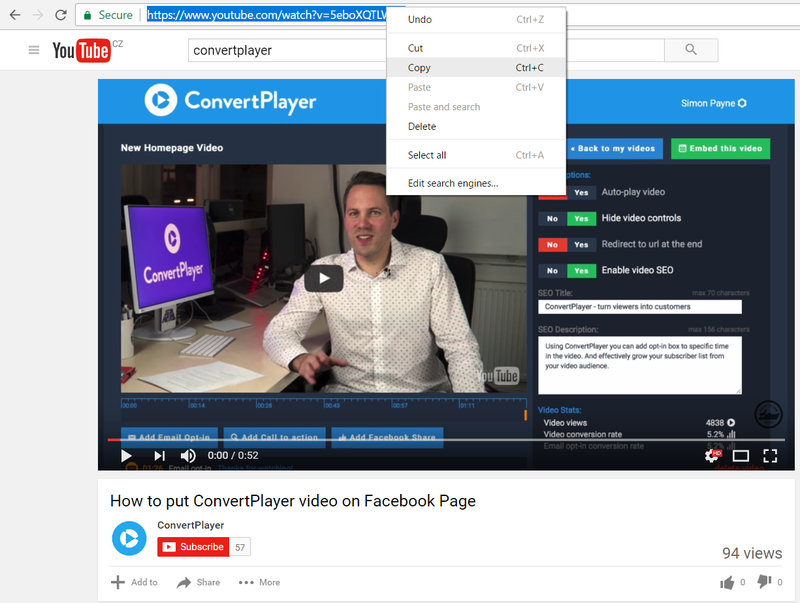 This is the explanation of how to add videos on your ConvertPlayer account. It's very simple just follow the steps. Go to the video you want to add in your ConvertPlayer and copy the URL. You can use Youtube or Vimeo videos. We are planning to add Instagram videos soon. Log in your ConvertPlayer account and click on "Add New Video", paste the URL and add video. 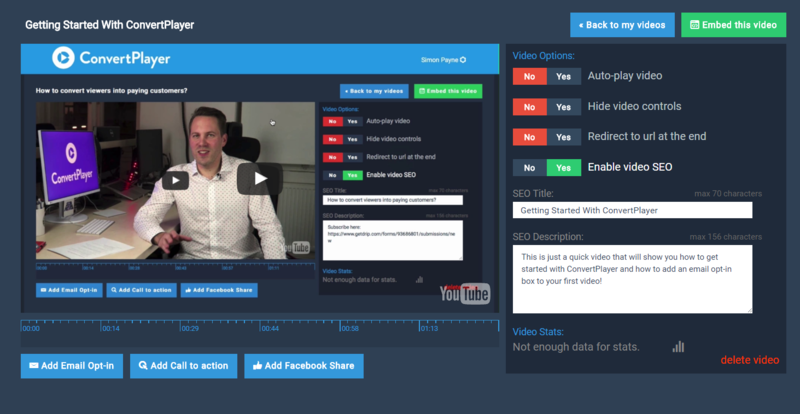 Now you are ready to collect opt-ins using ConvertPlayer. If you have any other questions check out other Articles or contact us.